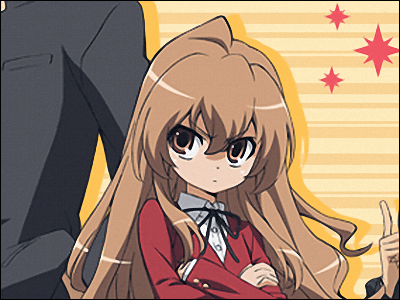 Following the quarterfinal held from Oct. 9 to 12, the final of Anime Saimoe Tournament 2009 was fought between Taiga Aisaka of Toradora! and Yui Hirasawa of K-on! on Oct. 17 midnight. The hot match ended up in Taiga Ousaka achieving razor-thin majority by only 54 votes. Four out of eight quarterfinalists being Saki characters, at first it was said that there could be a one-two finish following Hiragi sisters(Lucky Star) of last year. But at semifinal Saki characters were wiped out. The vote started on Oct. 17, AM 01:00 JST and Yui Hirasawa of K-on! was leading the race at that time. But just before 10 o'clock the game turned back. By 15:00 Taiga Aisaka of Toradora! opened a lead by 50 votes. Then Yui rebounds to 20 votes margin but finally, Taiga won the game by 1332 votes, just 54 votes margin to Yui. K-On! surely won over a lot of anime fans this season. Adapted to anime from April to June, K-on! became major movement among Japanese anime fans and called big sensation like pilgrimage to instrument shop in Kyoto and acceleration in sales of luxury headphones and bass guitars for professional. Eight characters participated in the tournament from the anime, and Azusa Nakano reached F block's final and Ritsu Tainaka lost close fight with Mihoko Fukuji(Saki) who became one of the Best 8 moe girls. On the other hand, Taiga Aisaka is from Toradora, a long selling light novel by Yuyuko Takeuchi. The novel was adapted to anime from October 2008 to March 2009. The direction by Tatsuyuki Nagai succeeded in inspiring nuanced performance from characters, which resulted in winning hearts and minds of anime fans in spite of much less exposure than K-On! By the way, there has been no character who won the title back to back. Champion has never come back to final until now. Let's look forward to seeing new moe characters in 2010 tournament.